BOKO HARAM INSURGENCY AND NIGERIA’S SOVEREIGNTY: TIME FOR DECISIVE ACTION. On Sunday, July 11, 2011, some members of the BOKO HARAM terrorist Islamic fundamentalist group bombed the All Christians Fellowship Church, Suleja, Niger State, leaving three female worshippers dead, several others wounded and parts of the church badly damaged. The incident was an aftermath of reported threats by members of the sect to scale up their terrorist action in the country by shifting their callous attention to Christian places of worship. Prior to the Sunday incident in Suleja, this Islamic extremist group carried out similar attacks on some Christian churches in Maiduguri, Bauchi, Sokoto and other major towns in some states of the North; among them, St. Patrick’s Catholic Cathedral, Maiduguri. The Boko Haram group, at its inception in 2002, was said to have been founded with the mission of countering western Education in the country; and by extension to forcefully turn Nigeria into an Islamic country through the entrenchment of the Sharia law and enthronement of an Islamic government. Since December last year, members of the sect, have stepped up their actions for the realization of their vision and mission by bombing several sensitive areas in the country including the Mammy market at the Mogadishu Army Barracks in Abuja; the Independent Electoral Commission (INEC) office in Suleja and the Headquarters of the Nigeria Police Force in Abuja. The resultant mayhem, which included the killing of ten youth corpers on national duty in the service of INEC during the last April General Elections in the country has plunged many Nigerian homes into mourning. The attack on a Christian place of worship while the people were communing with God is not only dastardly but one too many. This stepping up of murderous activities and the attack on Christian places of worship constitute an invitation to chaos; and do not augur well for the peaceful co-existence of all Nigerians, irrespective of their religious differences. The vicious attack on sacred places of worship and killing of innocent faithful, without any justification, is not only an ungodly act but a disrespect to human life which only God can create and has the ultimate right to take. Addressing representatives of the Arewa Consultative Forum, South-east and South-south groups in his office, on Wednesday, July 13, 2011, the Speaker of the House of Representatives, Alhaji Aminu Tambuwal noted that the country’s sovereignty is under “real threat”, warning of dire consequences, if care is not taken. This is a truth that has been echoed by all well meaning Nigerians, including the Catholic Bishops and other top government officials, but no competent authority has given the problem the attention it deserves. The persistent crude attack of the Boko Haram sect on innocent Nigerians is not only a security threat but a callous, calculated attempt to destabilize the country and rubbish her secularity, using religion as prime a factor. In his acceptance speech at his swearing in ceremony on May 29, 2011, President Goodluck Jonathan took an oath to uphold the sovereignty of Nigeria, protect the lives and properties of all Nigerians, by making security one of the priority programmes of his administration. But, since the emergence of the Goodluck Jonathan, administration, the Boko Haram terrorist group has been having a field day; making majority of Nigerians to live in fear while the government continues to pay lip service to the issue of security, and the people are being killed with impunity. Cynically and even more painfully, the nation’s Security Chiefs have continued to assure Nigerians that they are on top of the situation as they again did, during a session with the Senate, on Tuesday, July 12, 2011. 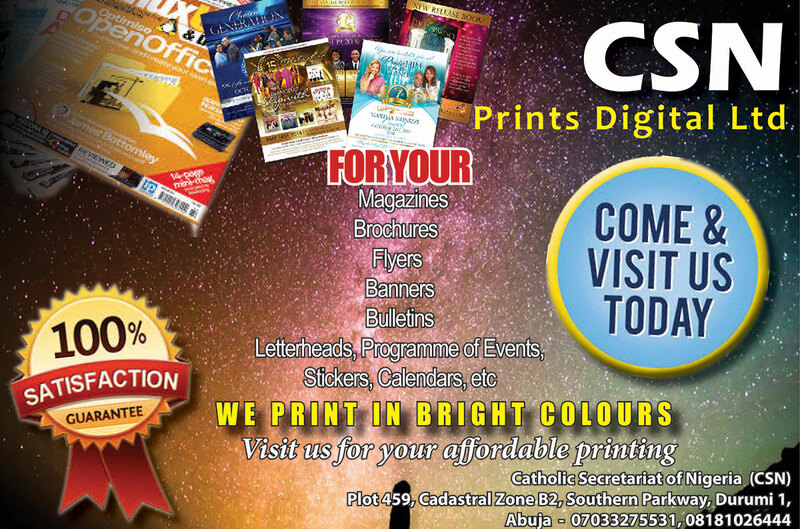 Addressing a press conference in Abuja, in January, this year, the Secretary General of the Catholic Secretariat of Nigeria (CSN), Rev. Fr. 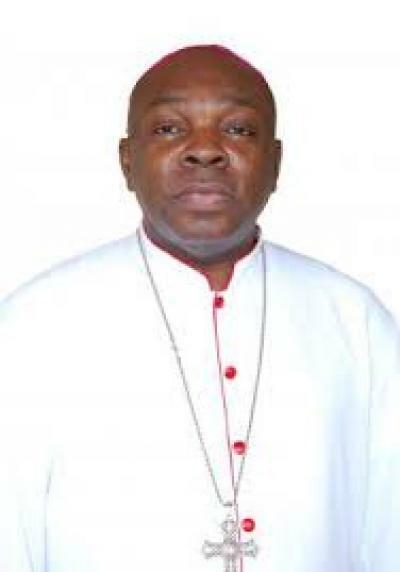 Michael Ekpenyong expressed serious concern on the state of insecurity in the country and condemned the spate of bomb blasts in some states of the North and the Federal Capital, Abuja. He articulated the position of the Church against fanatical religious exclusivism which is against the missionary imperative and the Constitution of the country which also allows freedom of worship and choice of religion in a secular Nigerian nation. The Secretary General pointed out, among other things, that both Christianity and Islam are rooted in God, abhor violence and profess peace as exemplified and preached by true leaders of both religions in the country. The Catholic Church has always warned against the use of religion to divide the people of the country; and at the same time condemns in strong terms, the blasphemous use of religion as an instrument for seeking power, profit and relevance. In this perspective, the Church had always collaborated and cooperated with government in the promotion of peace and harmony in the country. Furthermore, Christianity connotes peace and true love and respect for life of all human persons. Given this caveat, one can be pardoned for raising a red flag at the prevailing situation of things in Nigeria. The Church therefore calls on President Goodluck Jonathan, the Legislative Authority and the country’s security outfits to stop treating the Boko Haram issue with kid gloves as in the case of “Nero fiddling while Rome burns”. 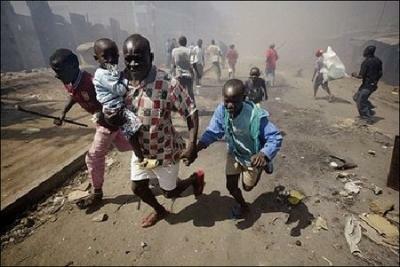 The nefarious action of the Boko Haram sect has gotten to a peak and if care is not taken, can set the country ablaze. Enough is enough and government should not allow the people to be pushed to the wall to avert violent reprisals. Violence, under any guise, is not the exclusive right of any particular group of people and Nigeria as a nation is greater than any religious or political group forbidding anyone from committing crime with impunity without being called to order. The Church remains committed to supporting the present administration to move the country forward and help her regain her past political and socio-economic glories. However, it will indeed be fool hardy to fold our arms and watch Nigerian Christians randomly blown to pieces by a group of people who do not know God but claim to be Muslims acting on the promptings of Allah while the government simply beefs up security around those in the corridors of power. We therefore, unequivocally demand that government take effective and decisive action to stem the menace of Boko Haram before it snowballs into a crisis of reciprocal religious atrocities, too hot for the country’s security agencies to handle. We emphasize that Nigeria is a secular nation, accommodating of all religious perspectives, well distinct from the anomaly of being a secularized nation. Therefore the government has the sacred duty of ensuring absolute security for all Nigerians without counting the costs. The life and property of every Nigerian must be secured. 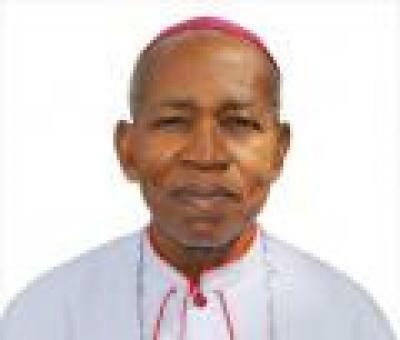 “We all must rise above fanatical religious exclusivism; respect every other citizen’s right to life, right to practice their religion and right to pursue their legitimate aspirations within the Nigerian Nation,” as pointed out by the Catholic Bishops’ Conference in its communiqué issued at the end of its Plenary Meeting in Ijebu-Ode, Ogun State, in September, 2010. Government must act now; as tomorrow may be too late.